Saint Louis University Athletic Training Program: SLU AT Student Experiences the Initiation of a New Program at Bishop DuBourg HS. SLU AT Student Experiences the Initiation of a New Program at Bishop DuBourg HS. This year I have been placed at Bishop DuBourg High School. I have been working with Nathan Jarman MAT, ATC, LAT, CSCS, CES/PES under our team physician Scott Kaar M.D. Nathan is an adjunct professor with the SLU Athletic Training Program that I have known for the past year. This is his second year with Bishop DuBourg. I admire his knowledge of everything athletic training and have enjoyed my time with him so far. 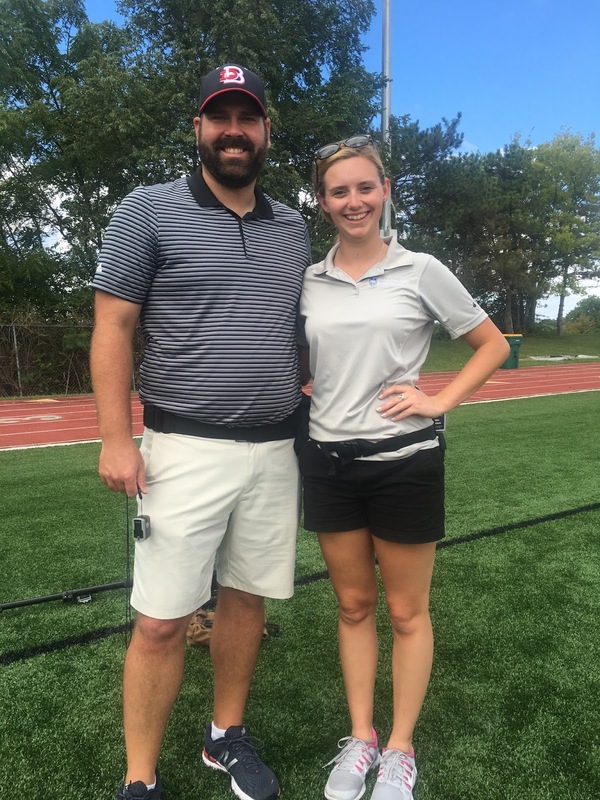 Nathan was the first athletic trainer hired to be a part of a new Sports Medicine program through Saint Louis University Hospital that has partnered with four archdiocesean high schools in the St. Louis area, with DuBourg being one of them. A typical day at DuBourg consists of the usual after school rush. The kids come in to hang out before practices, with the occasional injury evaluation. We work mainly with athletes that have chronic conditions to help prevent re-injury, but we have had some more serious injuries to work with as well. Luckily everyone is getting back to being healthy and ready to go! My preceptor and I are also going to be implementing a strength and conditioning program for some of the off-season sports. DuBourg is one of the smaller schools I have worked with, but I really love the close community and how all of the students are truly one of a kind. Although I am mainly placed at DuBourg, my preceptor Nathan and I have cared for the other three schools in our system as well, St. Mary’s, Rosati-Kain, and Cardinal Ritter High School. It has been an interesting process to be apart of and has thrown me into a position that will benefit me as a professional once I graduate. I have learned what it takes to create a program from scratch, and how to work on a small budget and still do my job effectively. It has been an awesome start to my PY2 year, and I can’t wait to see what the rest of this year holds for us!